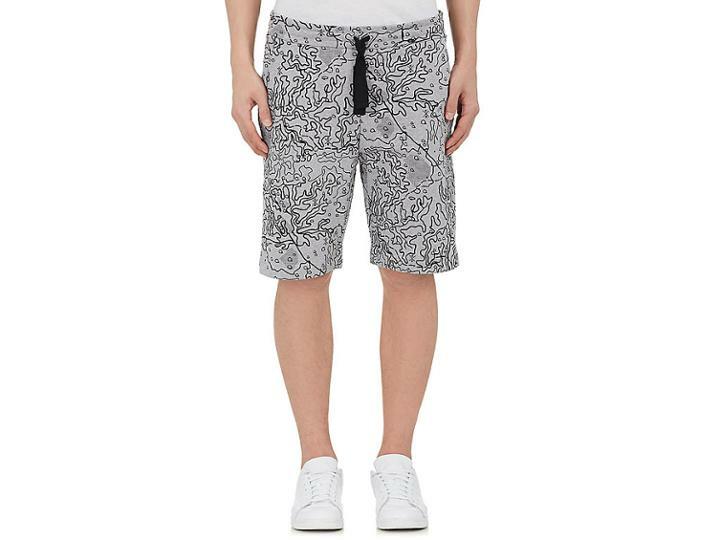 Christopher Raeburn's drawstring-waist shorts are made of grey and black map-print cotton French terry. Drawstring waist. Quarter-top pockets. 12.0 rise, 9.5 inseam (approximately). Pulls on. Available in Grey/Black. 100% cotton. Machine wash. Made in Portugal. Our model is 6'1/185cm and wearing a size Large.